EU countries adopt widely divergent stances on human rights issues in their dealings with China. The European Union (EU) recently labeled China “a systemic rival promoting alternative models of governance.” Friction over political models increasingly shapes the relationships between Europe and China. The EU was founded on the principles of human rights, democracy and the rule of law. Moreover, the Lisbon Treaty of 2007 stipulates that the EU and its member states should promote these values in their external relations. 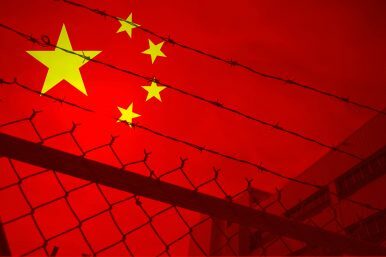 With the Chinese government presenting its authoritarian political system as an alternative to liberal democracy, the consequences of this undertaking are becoming more apparent. How is Europe meeting its commitment to defend and spread democracy, human rights, and the rule of law in its relations with China? Is China increasingly influencing how Europe relates to its core political values, as claimed by some? A major new report by the European Think-tank Network on China (ETNC) tackles these questions. The report, which compiles analysis from close to 20 research institutions across the continent, demonstrates that Europeans differ quite a bit in how they treat the EU’s foundational values in their diplomacy. In comparison to their European neighbors, Germany, Sweden, and the United Kingdom have adopted an active and vocal approach to democracy, human rights, and the rule of law vis-à-vis Beijing. They speak out publicly and address sensitive issues in closed-doors meetings with Chinese counterparts. They also run cooperative projects in China to strengthen these values. Belgium, Denmark, France, the Netherlands, and Norway (a non-EU member) also actively promote these core political values, but are more hesitant about putting public pressure on Beijing. The Czech Republic, Latvia, Poland, Portugal, Romania, and Spain do not currently speak out for political values in public and are not involved in significant cooperative projects to improve the situation in China. They prefer to upload the matter to the EU level. Greece, Hungary, and Italy, finally, are at the moment mostly passive as well as occasionally counteractive. First, historical legacies shape European policies. While most European states have downgraded value diplomacy toward China since the 1990s, this trend is stronger in younger than in older democracies. The most prominent example is the Czech Republic. Prague was perhaps the most China-critical government in Europe under President Vaclav Havel (1993-2003). Current president Milos Zeman (in office since 2013), however, has taken a pro-Chinese stance while large parts of the population and media remain critical. In Spain, the successful transition from the Franco dictatorship to democracy without external interference is seen to justify a rather passive stance to value diplomacy vis-à-vis China. Portugal’s colonial past has made many people there reluctant to criticize other countries’ domestic affairs. This can be contrasted with Latvia, where the belief that political values are a domestic matter rather stems from the violation of its sovereignty by the Soviet Union. Second, economic factors influence political values in Europe-China relations, but in some unexpected ways. Active trade relations with China are actually associated with a more active and open stance on democracy, human rights, and the rule of law. The report also demonstrates that a high share of Chinese investments in fact does not correlate with a lower commitment to political values. In some countries such as Hungary and Romania, however, the hope that China could fill investment gaps in the future lead to a downgrading of political values. In Portugal, Chinese investments in sensitive economic sectors lowers the country’s commitment to the triad of political values. Third, Chinese pressure has led some Europeans states to reconsider their engagement. Norway, most prominently, suffered from retaliation when Liu Xiaobo was awarded the Nobel Peace Prize in 2010. After six years of being subject to a diplomatic freeze, Oslo resumed working relations with China in 2016 and has since been less vocal on political values. Others, including Denmark, France, the Netherlands, and the United Kingdom have also suffered backlash from China on these issues in the past. Nonetheless, neither Norway nor any other state that has suffered from Chinese pressure has taken political values entirely off their agenda. Moreover, China’s attempts to improve its general image in Europe have largely failed. The research shows that the public and large sections of political elites and the media hold negative views of China’s political system. A recent example is the critical European coverage of the removal of presidential term limits at the Chinese National People’s Congress in March 2018. Despite this unfavorable image, however, China has occasionally gained influence over European decision making. One example is in the UN Human Rights Council, when Greece prevented the EU of taking a clear China-critical stance in 2017. While China’s influence in Europe should not be overstated, the EU suffers from divergences and fragmentation in promoting political values. The EU has shown that it can reach consensus even on sensitive China-related issues, as witnessed by the new mechanism for common screening of foreign direct investment. Nonetheless, there is a long way to go for a unified European approach to what looks like the world’s next superpower. Björn Jerdén is head of the Asia Program at the Swedish Institute of International Affairs (UI). Tim Rühlig is a research fellow at the Swedish Institute of International Affairs (UI). In EU-China Discussions, It’s Time Human Rights Took Center StageChinese President and Saudi Crown Prince Hold a ‘Win-Win’ MeetingMaking China Communist Again?The People China ‘Disappeared’ in 2018Xinjiang Detention Camp or Vocational Center: Is China ‘Calling A Deer A Horse’?